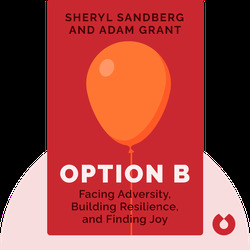 Option B (2017) is based on the personal experiences of Sheryl Sandberg who, after losing her husband, fell into a period of deep mourning. However, Sheryl’s story is not one of despair; it’s one of perseverance, and of emerging from a horrible experience even stronger than before. Discover what Sheryl learned about the grieving process and how she was able to reclaim her joy, find meaning in life – and death – and move on. Sheryl Sandberg is the chief operating officer at Facebook and an active philanthropist who helps women achieve their goals. She was previously vice president of online sales at Google, as well as chief of staff at the US Department of the Treasury. Her first book was the best-selling Lean In. 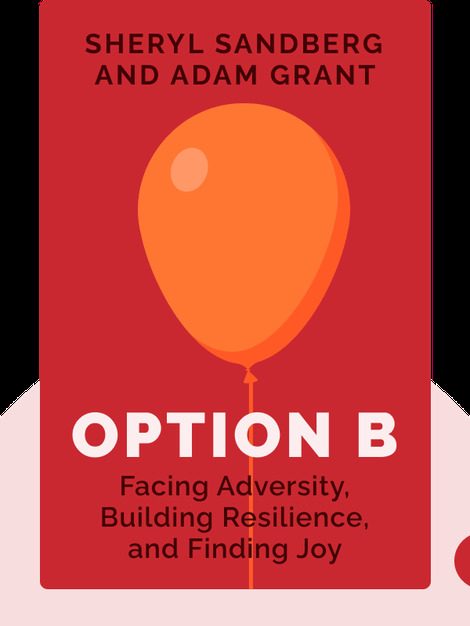 Adam Grant is a psychologist at the University of Pennsylvania’s Wharton School whose writing has received awards from the American Psychological Association and the National Science Foundation. He is also a contributing op-ed writer for the New York Times and the author of the best-selling books Originals and Give and Take.